Exercise comes in many shapes, sizes and species sometimes. For your Fitness Friday enjoyment today, we give you marine mammal trainer Kathy playing catch with Zoe, the California sea lion. 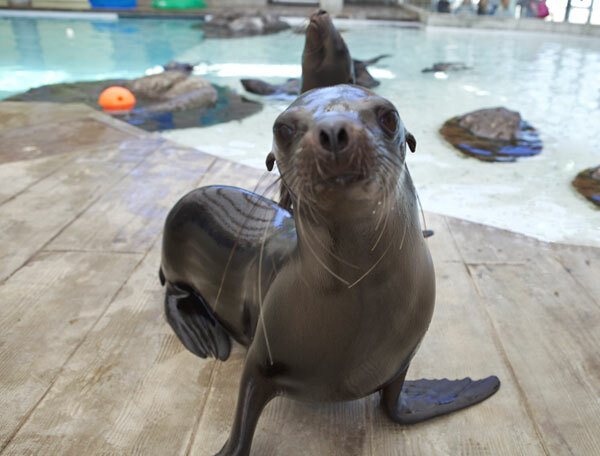 Our marine mammals get lots of enrichment, which helps stimulate their brains as much as their athletic muscles. See more videos of Zoe playing soccer, doing the high jump, learning the crawl stroke and goofing off with a garden hose—all fun and enriching activities that help her stay active!